EXCOR® Pediatric has been specially developed for children, infants and even babies. This has been made possible by the wide variety of blood pumps and cannulae. The EXCOR® Pediatric VAD has been approved by the Food and Drug Administration (FDA). The system is used successfully as short, medium and long-term cardiac support. 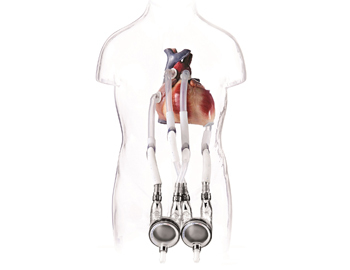 EXCOR® is often used as a bridge until heart transplantation is performed or the heart has recovered. Since its first use in 1990, more than 2,000 young patients have been supported with the EXCOR® Pediatric device.